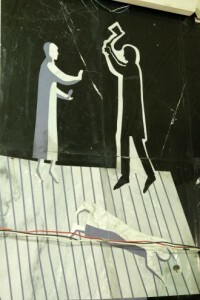 Crime and Punishment at 150 is an outreach program that celebrates Dostoevsky’s 1866 novel. Our main event, a conference, took place October 20-22, 2016 at the University of British Columbia. The outreach program was co-organized by Katherine Bowers (UBC) and Kate Holland (Toronto). Events happened online and on-site in various locations across Canada and the United Kingdom. including a Research Grant from the Department of Central, Eastern, and Northern European Studies, two subsidized student research assistant positions from the Work Learn Program, and a Hampton Grant from the Vice President of Research and International Office. Partners include: the Department of Russian at the University of Bristol, the British Association of Slavonic and East European Studies 19th-century Study Group, the Petro Jacyk Central & East European Resource Center at the University of Toronto, and the Cambridge University Library, and the Vancity Theatre. 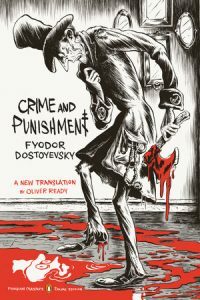 We are also grateful to Penguin Books US for allowing us to use Oliver Ready’s fine translation of Crime and Punishment for our Twitter project, @RodionTweets, and to Apocalypse Films for allowing us to screen their 2015 adaptation of Crime and Punishment. Special thanks also to everyone who has collaborated on the various parts of the project, including: Carol Apollonio, Brian Armstrong, Mel Bach, Elena Baraban, Katherine Bowers, Alexander Burry, Connor Doak, Helene Dragatsi, Kate Holland, Sarah Hudspith, Ksenya Kiebuzinski, Barnabas Kirk, Deborah Martinsen, Kristina McGuirk, Louise McReynolds, Robin Feuer Miller, Anton Nonin, Andrew O’Keefe, Oliver Ready, Amy Ronner, Megan Swift, William Mills Todd, III, Jennifer Wilson, Sarah Young, members of the North American Dostoevsky Society Reader’s Advisory Board and students from UBC’s 2015 Term 2 RUSS 412 class.